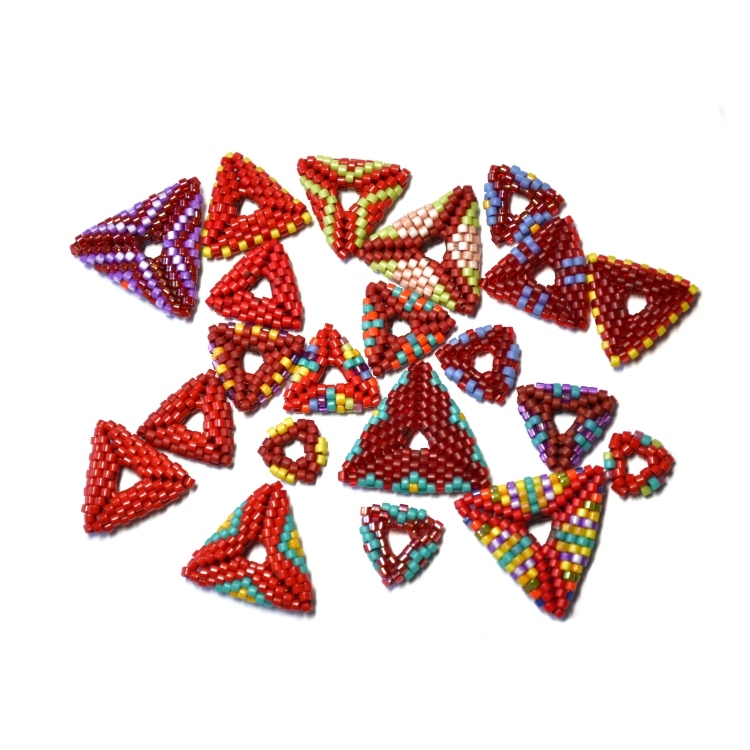 This 7 page seed bead weaving tutorial contains all the instructions you need to make these triangle beaded beads. 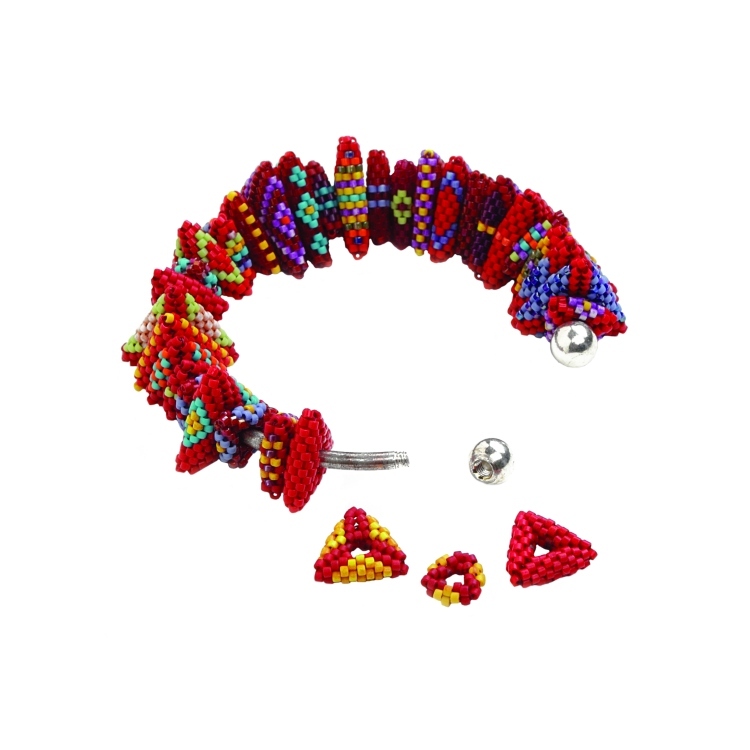 Also included are full details on how to scale them up to create larger items such as bangles as well as 4 other charts for different patterns you might like to try on your beaded beads. The small size are ideal to thread onto bangle wires, chains, ribbon, cord etc and even items such as as the popular 'Troll' or 'Pandora' chains. 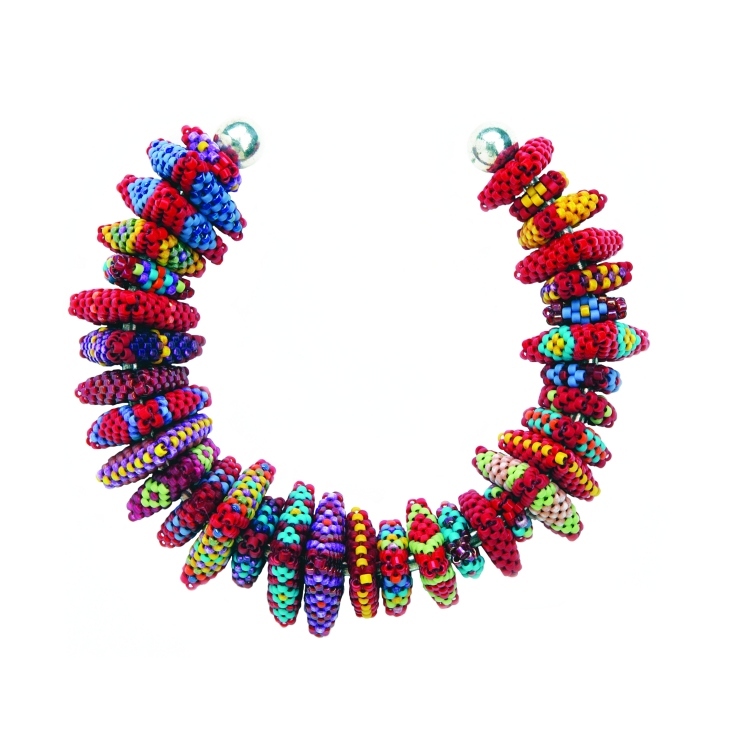 When made using cylinder beads such as Delicas or Aikos the finished pieces will be very structural and geometric. When made in seed beads they'll be softer and rounder- the choice is yours.You can use whichever is your favourite thread for this project. A knowledge of peyote stitch (especially increasing and zipping pieces together) is recommended. 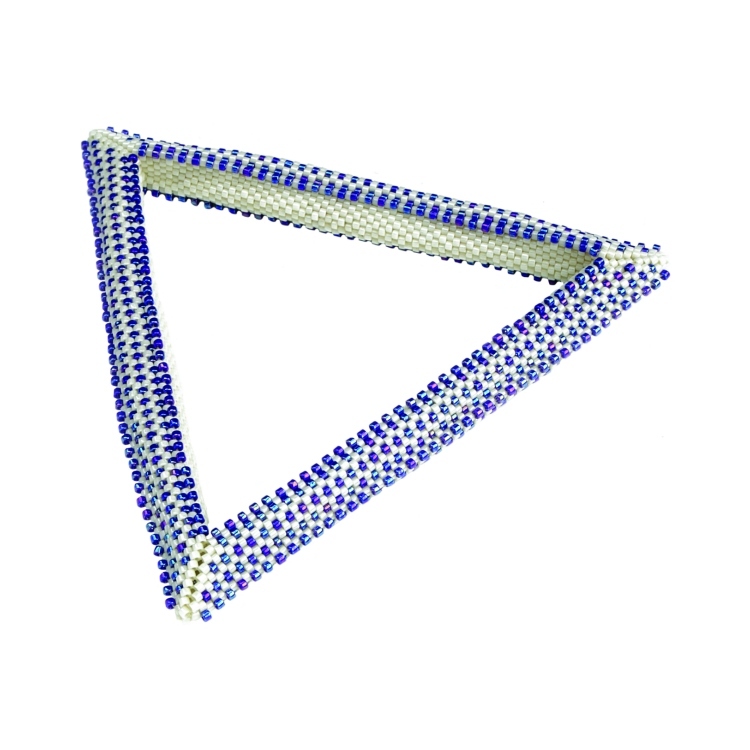 This project is more suited to a non-beginner and appears in my book Geometric Beadwork.